WikiLeaks, the online whistleblower, is growing ever more daring. Three days after signing a deal with Piratpartiet, the Swedish pirate-friendly political party, it’s put up a password-protected, encrypted file on its site that anyone can download–or host. Until the password is entered, however, it’s unreadable. All of this is very WikiLeaks–mysterious, slightly threatening–and, according to the editor of 2600 The Hacker Quarterly, could pose a serious challenge to the legal system. 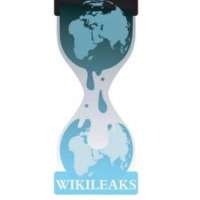 While it’s obviously bad news for the world’s governments, military, and security agencies, it can only be good news for Julian Assange, the website’s badger-haired frontman, as the file–named “straw-glass-and-bottle”–is, without doubt, a form of life insurance for him. It’s been encrypted using the AES256 algorithm, too tough even for U.S. intelligence to break. As yet, no one knows what it is, or whether it is a merely a dummy file, or a genuine sword of Damocles for the military. The massive tranche of logs that were leaked last month has been turned into an infographic by team of students for the New York hackathon last month. It shows a visualization of the documents as a heat map of Afghanistan, showing where the incidents took place. The quartet behind the video are described by ReadWriteWeb as “hackademics,” and the incidents documented in the leak are depicted as a heat map of Afghanistan–the more incidents in a location each month, the more intense the color.